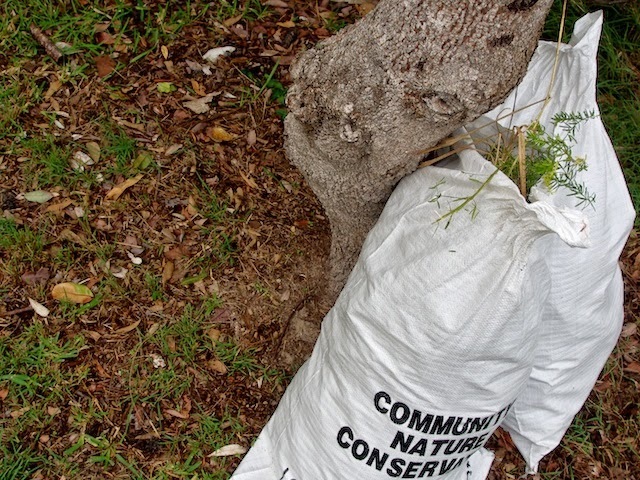 Community Nature Conservation is a Council initiative which allows community groups to tend for bushland areas in their neighbourhoods. The groups take responsibility for removing undesirable and noxious plants from the bushland areas, which are often prone to invasion from garden species, which compete with natural vegetation. Here a few bags of some sort of exotic pest awaits collection.